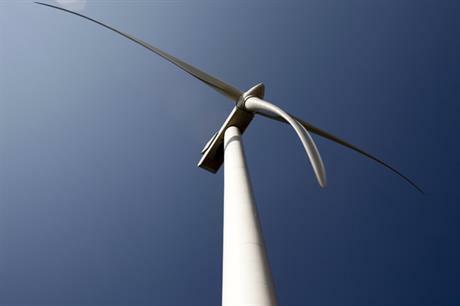 UNITED STATES: Vestas has announced the first confirmed order for MidAmerican Energy's 2GW Wind XI project cluster in Iowa. The first order comprises 214MW of Vestas V110-2MW turbines, moving the project forward to qualify for the full production tax credit (PTC) before the phase out begins from 2017. Vestas won the conditional contract from MidAmerican in June 2016, to supply 1,000 V110 turbines to the sites in northern US. "With this order, MidAmerican positions itself to secure the full value of the PTC for the Wind XI project, and takes the next step in delivering low-cost domestic wind energy to its customers," Vestas US president Chris Brown said. The $3.6 billion Wind XI was approved by the Iowa Utilities Board (IUB) in August. MidAmerican had asked the IUB to approve the request by mid-September to ensure the project could qualify for the full PTC. MidAmerican expects to complete the project by the end of 2019 but some of Wind XI's multiple sites could be completed as early as 2017. The Berkshire Hathaway-owned utility is seeking to provide its customers in Iowa with 100% renewable energy. Wind XI will result in 85% of MidAmerican's customers' electricity coming from renewables.